This is your getaway, your sanctuary, whether it's a country cabin, a place by the beach or a downtown pied-a-terre. You want appliances that are completely carefree, and contribute to the gracious, relaxed days and nights you spend here. You've earned this respite – now enjoy it to the hilt. 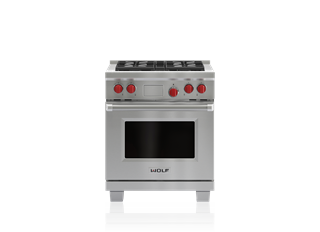 The Wolf 759mm dual fuel range fits easily into smaller kitchens, yet delivers chef-style performance with its four dual-stacked gas burners and self-cleaning dual convection oven. 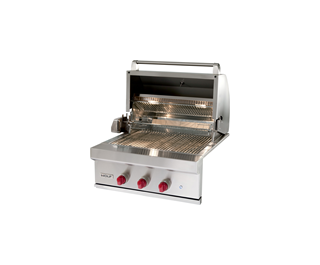 As you commune with nature on your patio or deck, the Wolf outdoor gas grill gives you professional performance, utilizing both direct and radiant heat for flawless grilling. 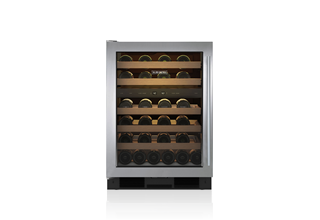 It's just 610mm wide and fits under your counter, yet the Sub-Zero undercounter wine storage unit has a generous 46-bottle capacity, and two individually controlled storage zones so you can serve both reds and whites at exactly the right temperature. Small cabin or city apartment? 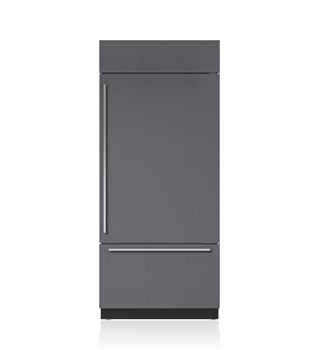 All Sub-Zero models, like this Built-in over-and-under refrigerator, incorporate advanced food preservation features that include Dual refrigeration ® and NASA-inspired air purification, so fresh produce doesn’t spoil before your holiday ends.